Click for photos from Spirit Day! 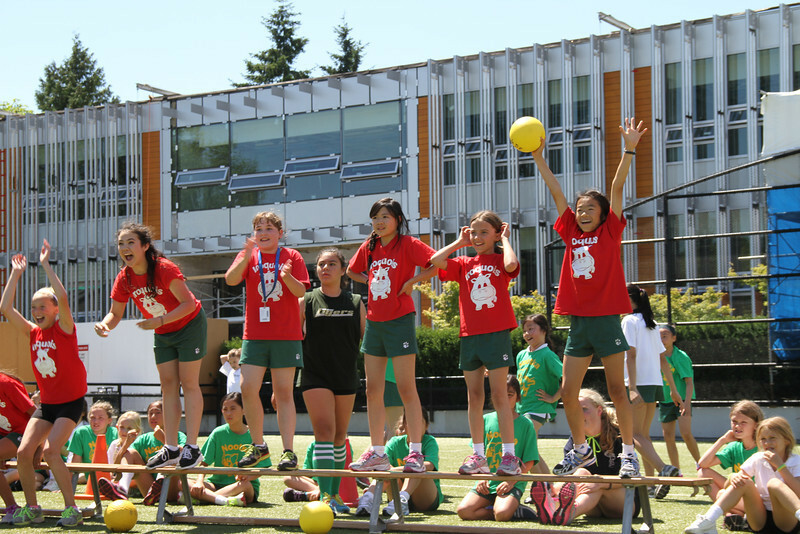 The Junior School topped off the school year with an ultimate day of FUN – “Spirit Day”. The day began with a special spirit assembly in the morning. 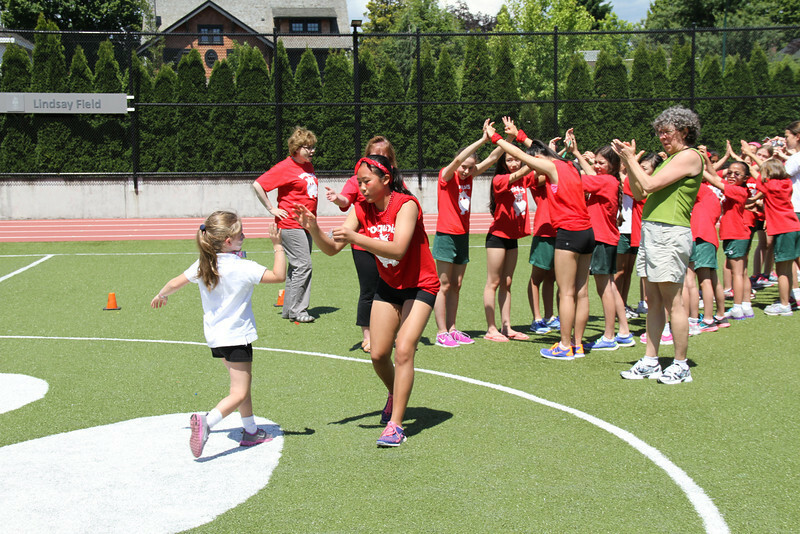 Here, girls were selected to participate in activities throughout the day. 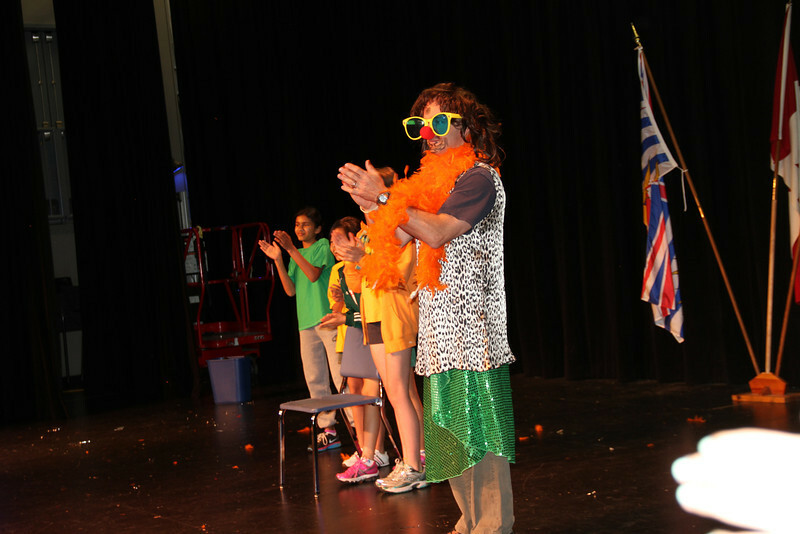 First some girls dressed up Mr. Camp in silly clothes and a wig from the Drama room. Then there was teacher face painting. Girls chosen from each grade gave some teachers very silly faces. After assembly was a spirit run; each lap equaled one house point. 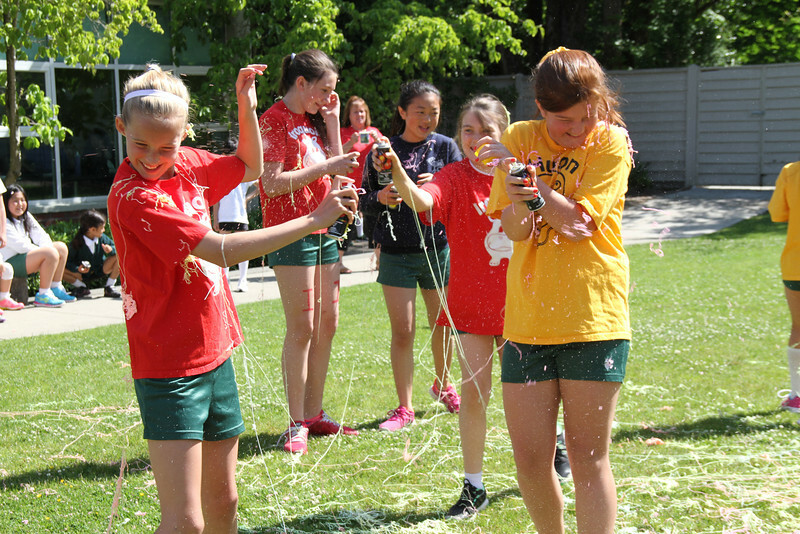 Later there was a silly string fight and a one-sided water balloon fight with the teachers. One-sided meaning only the students had the water balloons! The girls then got their dance on. Principal for a Day, Coco K. hosted a dance party in the east gym. After The final house event of the day was outdoor bench ball. Before the games started, the Grade 2s were welcomed into their new houses. The ultimate fun day ended with ice-cream for all! See all the photos from Spirit Day. Next PostNext Congrats Grade 7s!